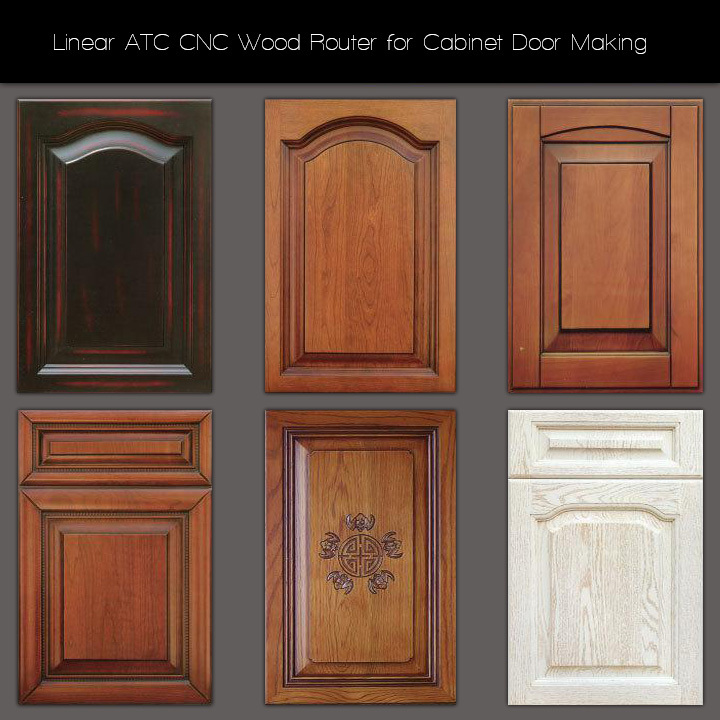 Linear ATC CNC wood router is mainly used in furniture making industry, furniture decoration industry, wood craft industry, wood decoration industry, automotive tooling industry, solid wood furniture,classical furniture, decoration material, door cabinets, wooden kitchen furniture ,etc. 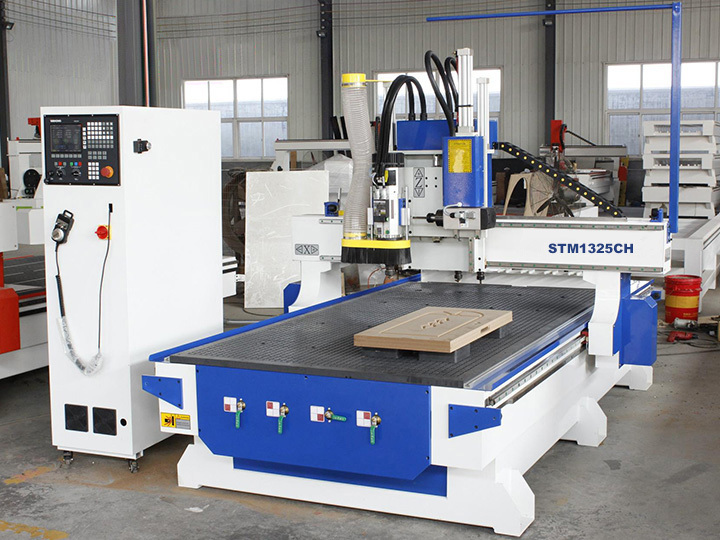 Linear ATC CNC wood router is designed for wood materials and other materials processing such as Aluminum, Acrylic, MDF, PVC, etc. 3. 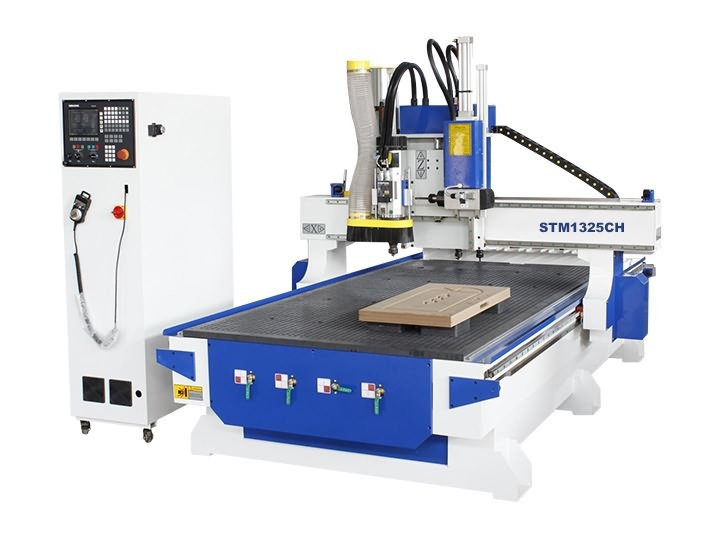 Italy HSD spindle makes machine with high precision and long service time and stable movement. 4. 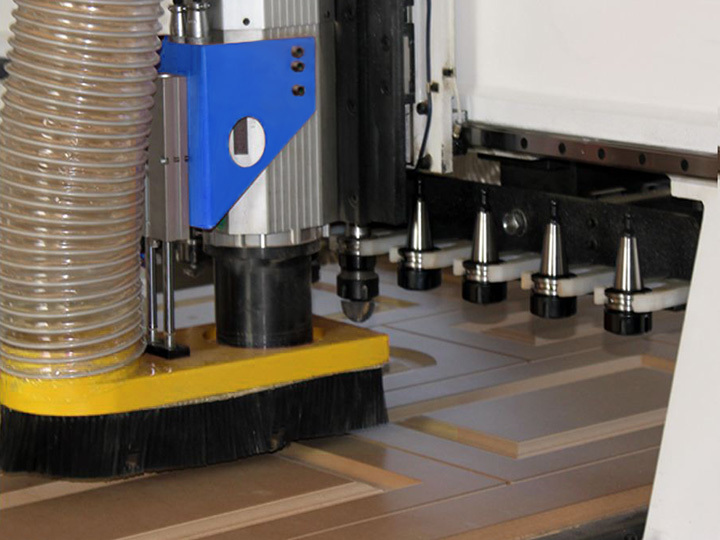 Configured with imported tool magazine of 8 tools the machine can change tools speedy and freely. 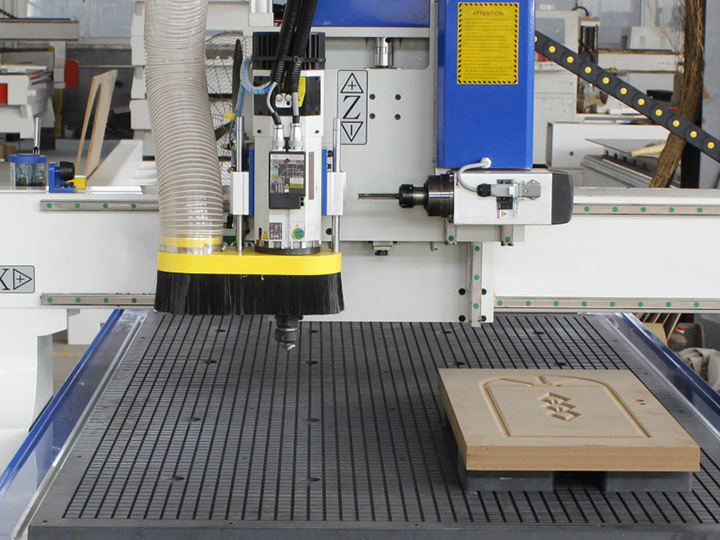 Changing tools in 8 seconds. 5. 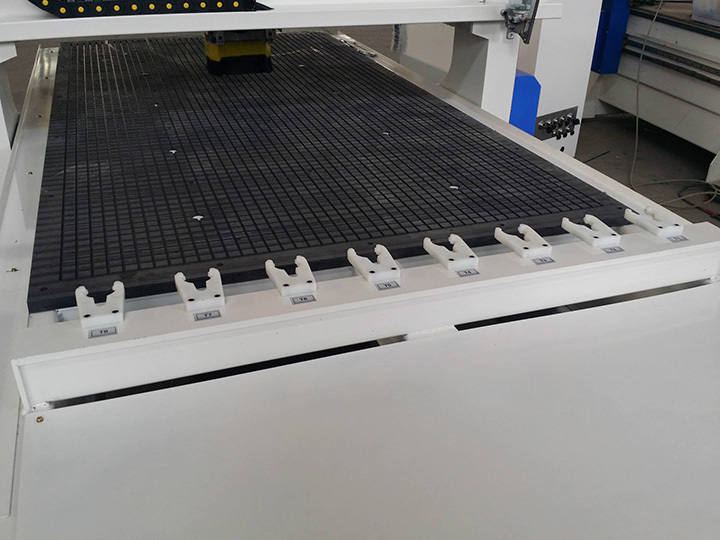 Tool sensor enables the machine compensate the tolerance of the tool length. 6. 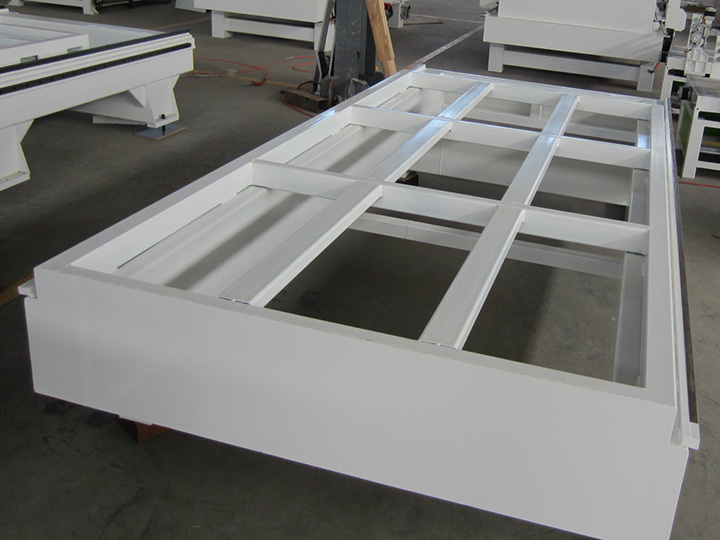 Strong power suction of Yongdun free-oil pump. 7. 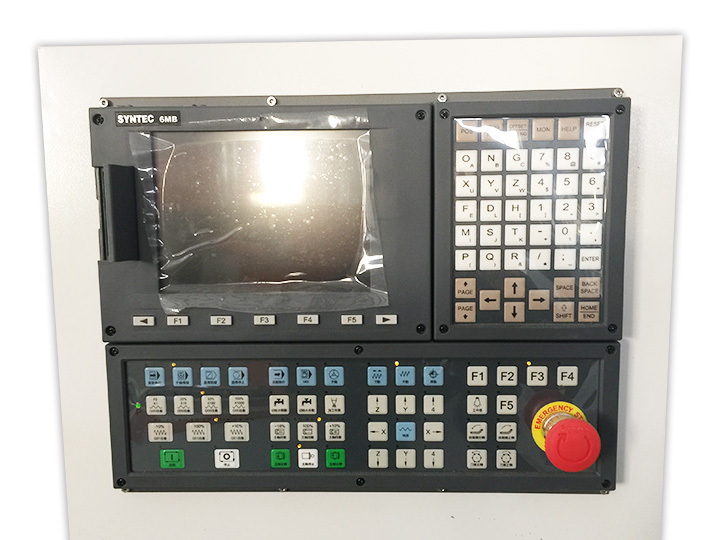 Imported Taiwan SYNTEC control system, separated keyboard control, color LCD display add machine more versatility. 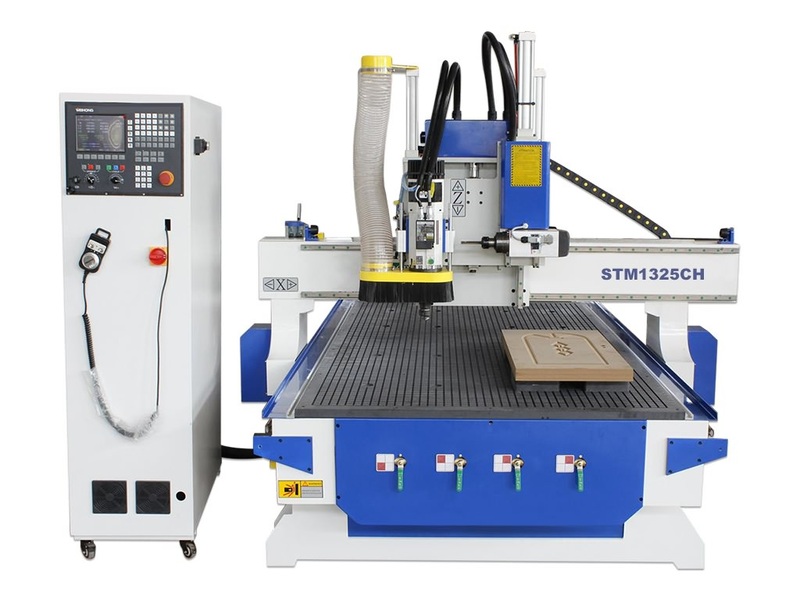 All the CNC routers can be shipped worldwide by sea, by air or by international express logistics via DHL, FEDEX, UPS. 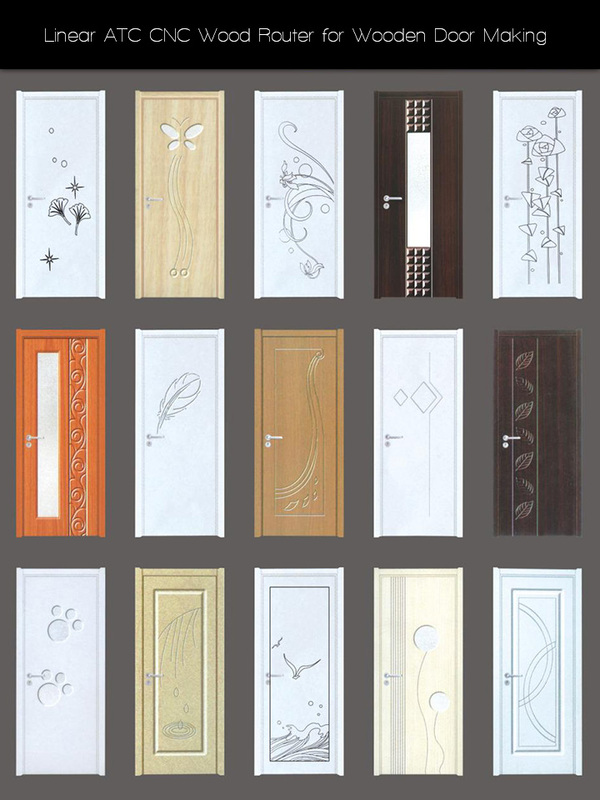 You are welcome to get a free quotation by filling up the form with name, email, detailed address, product and requirements, we will shortly contact you with the full information including the most suitable delivery method (fast, secure, discreet) and freight. 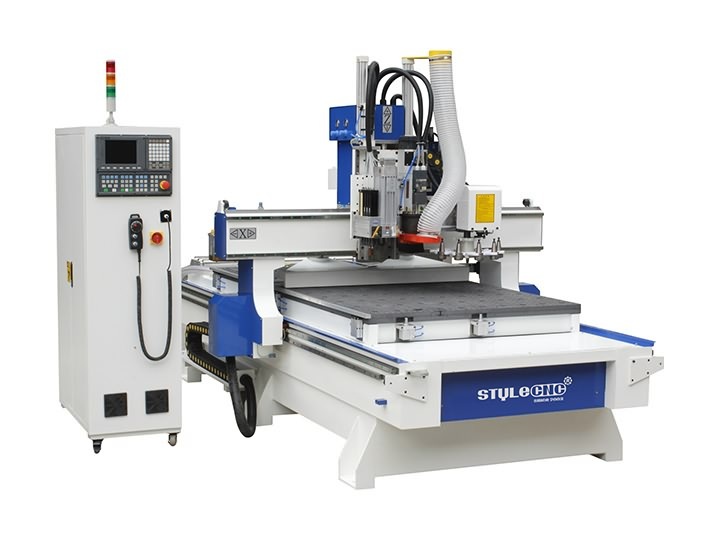 License: The text of "Linear ATC CNC Wood Router with SYNTEC Control System" by STYLECNC is licensed under a Creative Commons Attribution 4.0 International License. Everything was fine. The seller helped a lot. I recommend! 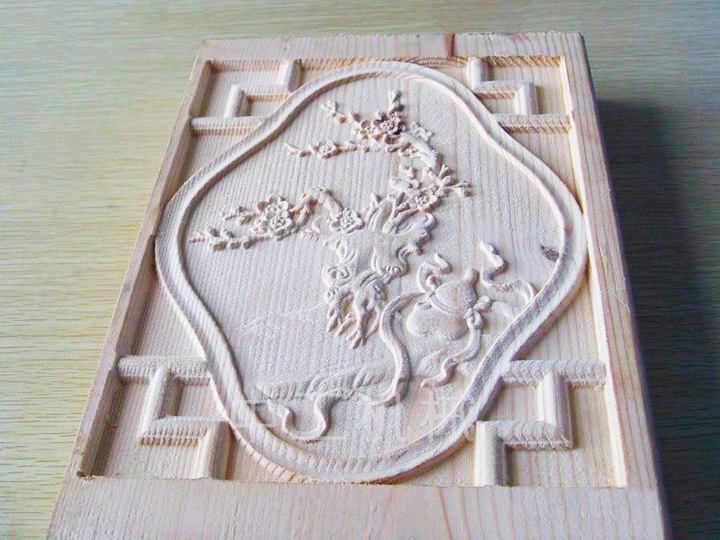 Tried to make a wooden door by the cnc wood carving machine, wonderful machine. 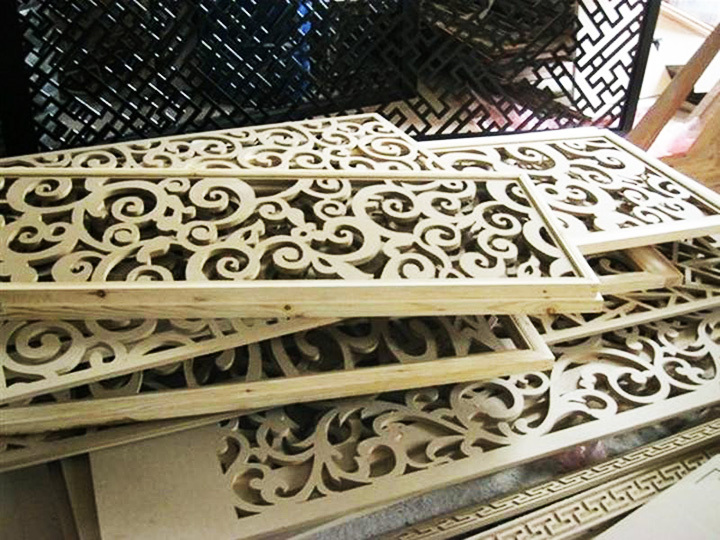 Good quality of the cnc wood machine. Great manufacturer. Excellent Support. On all questions received an exhaustive answer. Thank you. 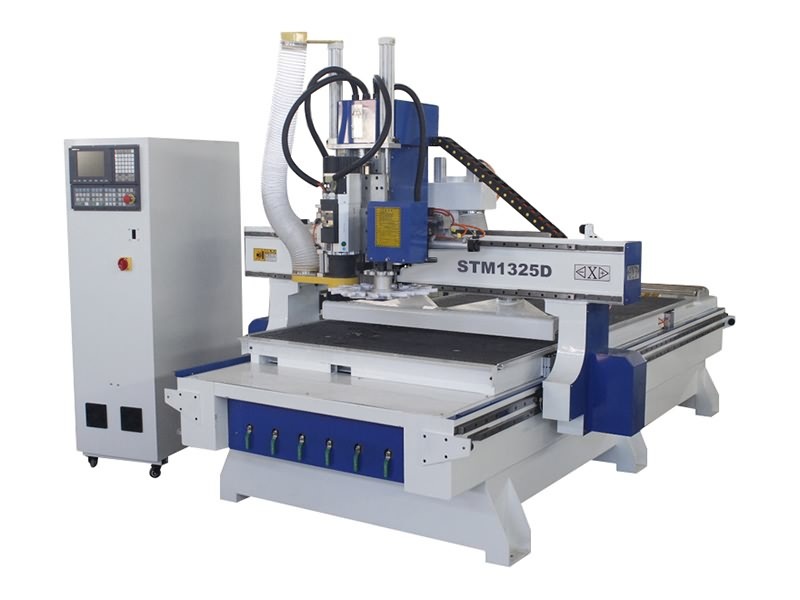 Very good wood carving machine, I can also use it for drilling side hole. 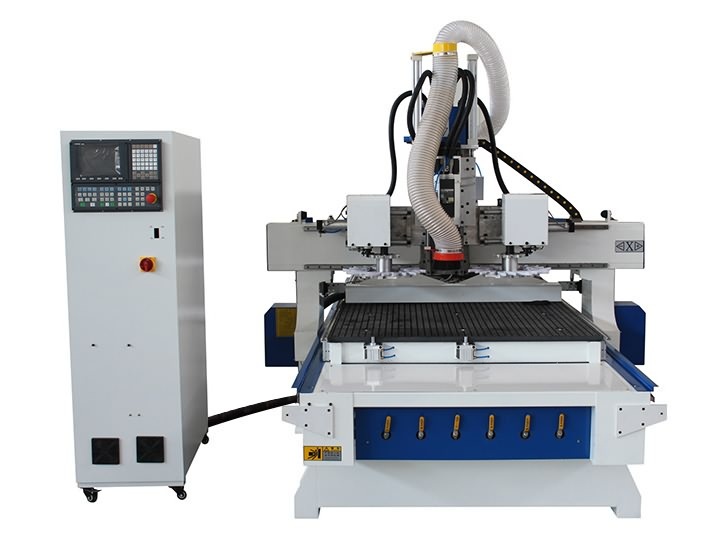 Multi-function machine!